11 years of Friends, Surf & Tonas . Well time goes by and we are getting into our 11th season operating in Nicaragua and we would love to thank our guest and supporters to make to whom had made this happen. We feel really blessed to have meet so many nice people along this journey. When we first started Miramar Surf Camp the main idea was to get our brains surfed out, which that hasn't changed much, but with this business came a huge bonus of meeting really amazing people everyday and getting along with them for years and years. Most of our reservations are made by returning guest the ambiance really makes everyone to settle and forget about their personal lives and once they are here people are much more open for new experiences and having a good time. We are like rookies frothing for this new season coming ahead, after all those years our goal as part of the hospitality industry is to keep providing a better service to our guest each time they come here. In 2018 the hotel has added couple amenities as a new infinity pool , reception, store, concrete skate park … the search for improvements is endless and Miramar Surf Family will be always thinking on you guys how we can provide a better service for you. On the surf side the waves are pumping, Puerto Sandino or Freight Trains as is know is breaking as never seen before the 2018 surf season was of the best for this surfbreak. The wave now is showing love for Goffy and Regular footters, rights and lefts at Sandino! Yes that’s right my friend now you can go right for about 600 yards, be ready to paddle back take a little while, you won’t be seeing in the lineup for a little bit . The right only works until 6ft swell , actually works best on small days on big days you can get a few, but the way back is not any easy one, the chance to be caught inside is huge so a wiser choice is go left on this day. The left is still the same as we know for all this years, Barrels, turns, barrels …. The dream It'S ON the sand bar is super shallow and just getting better from the last rain season . We are expecting 2019 to be the best surf season for Puerto Sadino on this 11 years of operating . Surf Puerto Sandino always means a lot for every surfer is real point break with perfect waves which can be compare with any wave on Indonesia but over a sandbar, if you never surf a world class wave in your life Freight Trains has to be your first step in this world . 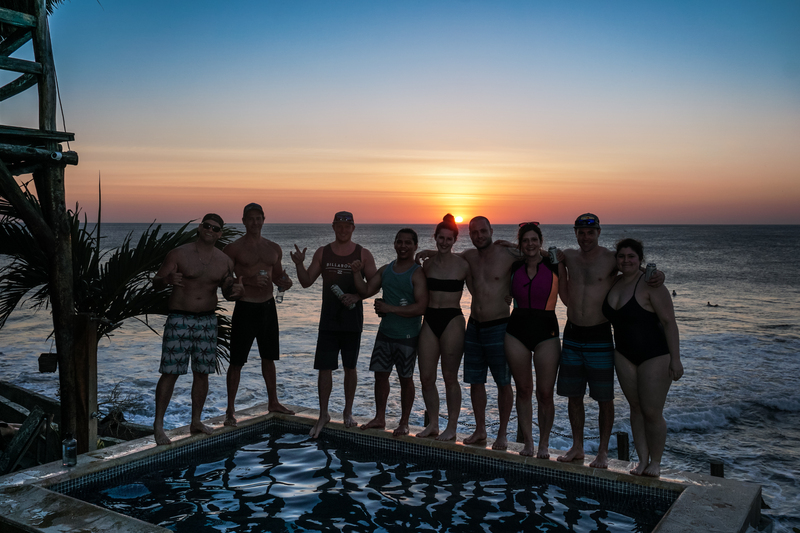 We are really excited for this season and we are ready to see you guys back here in Nicaragua with us, make new friends, shared waves, cold beers and good times. Come stay this surf season 2019 is only getting started. Saludos de toda Familia Miramar Surf Camp.